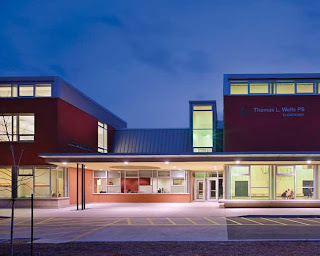 One of the recipients of a 2008 AIA Honor Award is the Thomas L. Wells Public School in Toronto, Ontario by local firm Baird Sampson Neuert Architects. 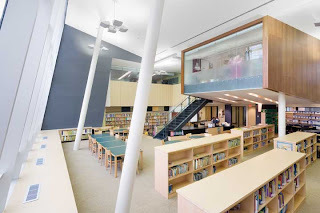 The awards jury notes that the school is "a model demonstrating sustainable design principles and an enhanced learning environment" for the next generation of schools in the Toronto District School Board. 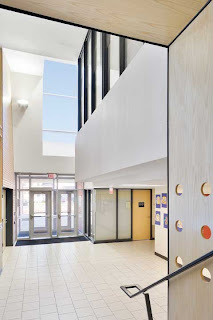 They further cite the design as sensitive, arranged to capture light and vent, and well-scaled, all contributing to a positive experience for the students. 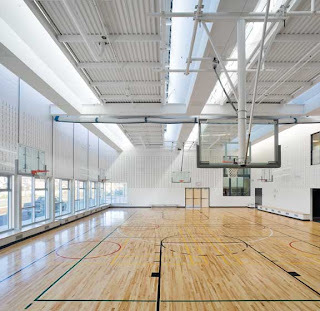 Located in a suburban area of Toronto, the building is sited to connect its outdoor areas to a nearby green corridor. 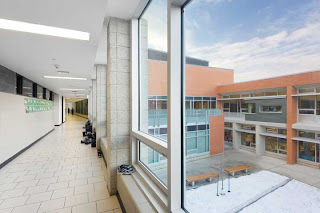 The school's footprint is basically two parallel bars, with administrative and recreational functions creating its public face to the street, and classrooms facing the more private playing fields. 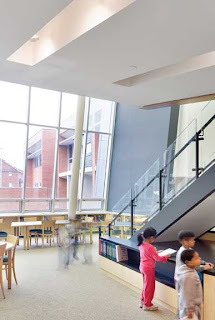 The classroom bar is bent in the middle to subtly cradle this outdoor space. 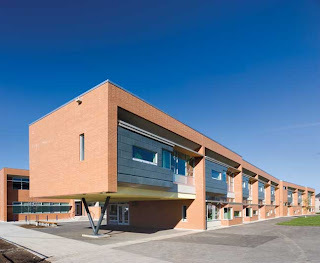 As well, since the classrooms face south, they receive valuable sunlight, a corollary of the building's site strategy. 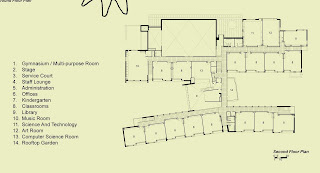 Between these two parallel bars (linked by an internal corridor) are two courtyards and the library. 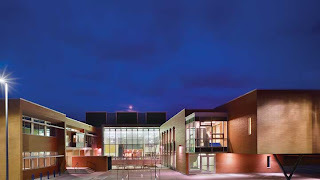 The courtyards are used for play and as places to gather. 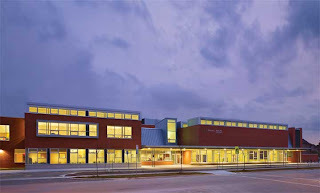 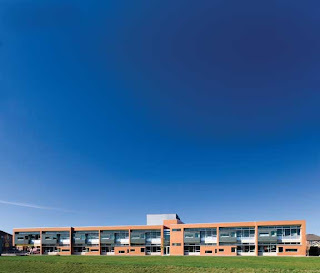 The two-story mass of the school and its well-articulated composition of brick, glass, and metal create embracing yet open spaces for children and teachers.